In Eric Bell’s follow-up novel to Alan Cole Is Not a Coward, Alan’s identity as a gay boy makes him a prime target for bullies at school while he tries to navigate a budding new relationship. A poignant and laugh-out-loud middle grade tale about friendship, family, and the many meanings of bravery. Alan Cole is not a coward. Not since he stood up to his brother. Not since he let his friends Zack and Madison into his world. And definitely not since he came out at his school. But Alan’s got a new host of problems to face. His biggest one: Ron McCaughlin. Ever since Alan revealed he’s gay, Ron has been bullying Alan with relentless fury. Yet Alan can’t tell his parents why he’s really coming home with bruises—because they still don’t know the truth. And now Alan’s father wants him to take June Harrison to the upcoming Winter Dance. Never mind that he has two left feet, does not like girls, and might be developing feelings for a new boy at school. 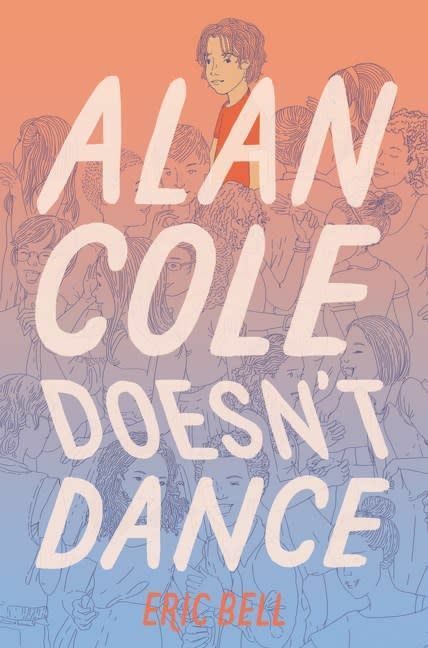 Between trying to understand the complex art of text flirting, learning how to subdue his bullies, and finding his identity beyond the labels people put on him, Alan has a lot to sort through—and lay out—on the dance floor.